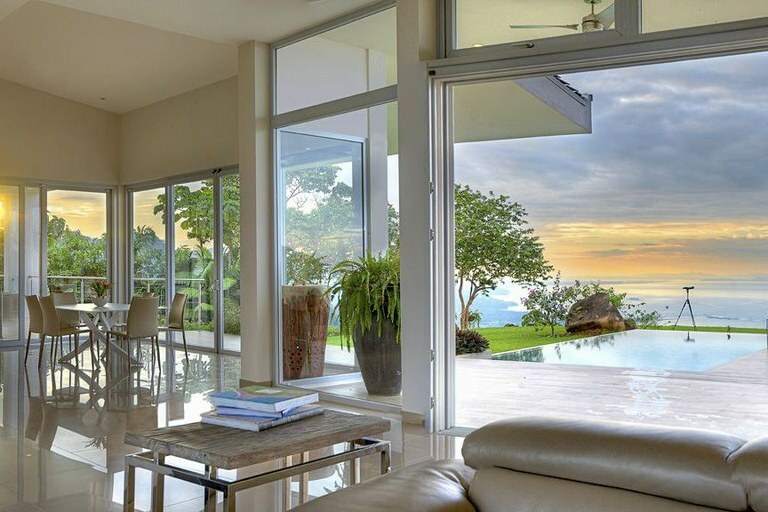 Located in the south pacific coast of Costa Rica, this stunning brand new home locations will take your breath away. Enjoy feeling like your in the jungle while just minutes from everything you could need while looking out at breathtaking panoramic ocean views with a preserved view as far as the eye can see... Don't wait; you will regret it! Featuring two already built Award Winning Luxury homes at this unique high end Estate development site, be truly amazed by the stunning panoramic ocean views, all just a few minutes from anything you may need or want. Meridian House - now sold! a gas-powered fire pit, entertainment center with high-definition flat screen TV.